Ascending Butterfly: Nabisco Newtons Fruit Thins - Where Good Meets Good For You! Nabisco Newtons Fruit Thins - Where Good Meets Good For You! Happy Monday Butterflies! Did you miss me this weekend? I spent this weekend away from all things electronic, and spent the weekend where I'm happiest, at the Beach! It's the only place where I feel completely relaxed and can re-charge. Beach trips have always held great memories for me, family, friends, sun, food, music, sand castles. Spontaneous and entirely un-planned Beach trips usually mean relying on food vendors when you don't bring something of your own. And most food vendors are selling high calorie, not so good for you fried foods. My trip this weekend wasn't entirely un-planned, but the beach we were going to was very far, making me bringing food more of an inconvenience than anything else. So I grabbed some waters and low cal snacks, sunscreen and my ipod and headed out. As many of you know I have been making very simple, small changes in my life and have lost quite a bit of weight. My biggest weakness is late night sweet snacks like ice cream, and I'm actively trying to substitute my favorite late night treat for healthier snacks! A trip to the supermarket a few weeks ago, led to a great discovery. A cookie from a brand I already knew quite well and trust, has a brand new line of cookies on the market with 8 grams of whole grain! This definitely caught my eye and I opted to try it in the Chocolate Raspberry flavor. And I'm super happy I did! When I was little I used to share Fig Newtons with my grandmother, she loved them and passed that love to me. So I had a feeling I would like these too! 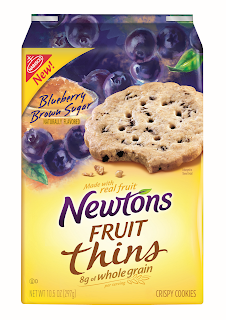 Shortly after trying these for myself after a supermarket visit, I was contacted by One2One Network who asked if I'd be interested in trying out Newtons Fruit Thins and share about it with my readers. And needless to say I jumped at the chance! I love sharing about products I already buy for myself. And I was also super lucky because I was sent a different variety than the one I had already purchased myself and tried out! 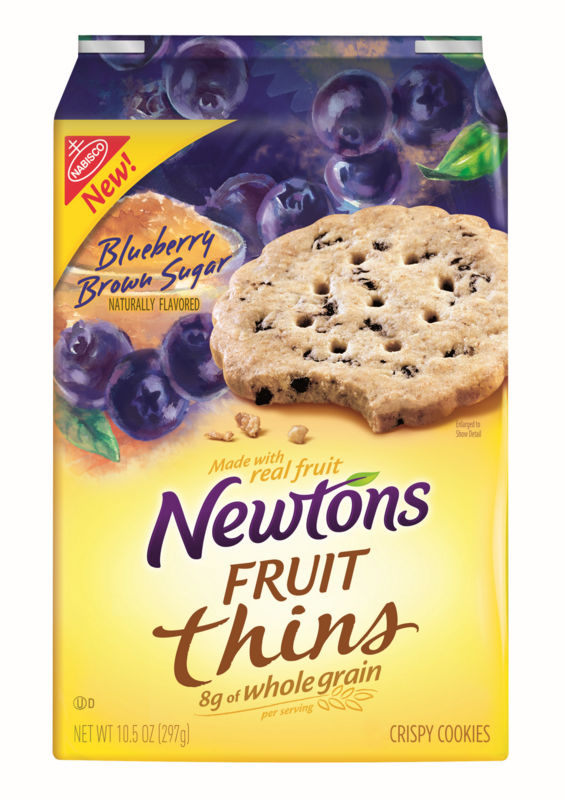 For more than a century, Newtons has been one unique cookie - wholesome goodness made with real fruit and a taste all its own. Now, with the creation of Newtons Fruit Thins, Nabisco is breaking the mold again with a cookie unlike any other with real fruit in unexpected combinations packed into a thin and crispy cookie. Ƹ̵̡Ӝ̵̨̄Ʒ - Cranberry Citrus Oat - I plan on trying this one next! Ƹ̵̡Ӝ̵̨̄Ʒ -Blueberry Brown Sugar - This is the one I tried via One2One Network, YUM! Ƹ̵̡Ӝ̵̨̄Ʒ - Chocolate Raspberry -This was the one I purchased, YUM! And because Newtons Fruit Thins are made with real fruit and 8 grams of whole grain per serving you can feel great knowing you’re having a deliciously wholesome snack. I've had the chance to try 2 out of the 4 varieties, the first I purchased when I happened upon them in the Supermarket, and the second I tried via One2One Network. I greatly enjoyed both varieties, and I plan to purchase the other 2 as well. If you are totally tired of cereal, these make a great substitute for cereal for breakfast, they are great to have in your pantry for an anytime of day snack. 3pm doldrums at work? These are perfect! Unlike the traditional Fig Newtons, these are actually crisp, so they give you that crispy crunch, and with the chocolate raspberry variety you can also get that chocolate taste, but still have a healthy snack. I totally think Newtons Thins are where good meets good for you! It is possible to make healthy snacking choices that don't make you feel like you are sacrificing great taste. I brought my bag with me to the beach, and friends and family enjoyed them as much I did. My niece and nephews already like traditional Fig Newtons, and they enjoyed these as well. They also have a variety called Fruit Crisps which I haven't found at my local supermarket yet, but I will try it once they carry it, have you tried either Fig Newtons, Fruit Thins or Fruit Crisps yet? I had a wonderful weekend at the Beach, and I hope you had a great weekend too! Our annual Dads N Grads Buying Reco Guide, where you have the chance to win everything you see will launch this week! FTC Disclosure Info: This post offers me the chance to win a Gift Card from the One2One Network. I was provided with samples of Nabisco Fruit Thins to help Facilitate this review. All opinions about Nabisco and the Fruit Thins products I sampled are my own. No monetary exchange has taken place. This is not a sponsored post and no compensation has been received in exchange for my opinion. ooooo! Those things look good! !